Disclosure: I received the following to feature from Lakeshore Learning. All opinions are my own. The holidays are quickly approaching and a fantastic place to pick up some educational toys for your child is Lakeshore Learning. Lakeshore is dedicated to creating innovative educational materials that spark young imaginations, instill a sense of wonder and foster a lifelong love of learning. With materials for infants & toddlers through the 6th grade, they help children reach developmental milestones and achieve educational goals—while still having fun! My pick for Kenzie this year is the Crafts Supply Center ($49.99). Since she loves to craft and "do art", this is the ultimate gift for budding artists. 20 clear-view drawers are overflowing with fuzzy pom-poms, colored wiggly eyes, sparkly pipe stems & much more! Includes activity book with 14 memorable projects. 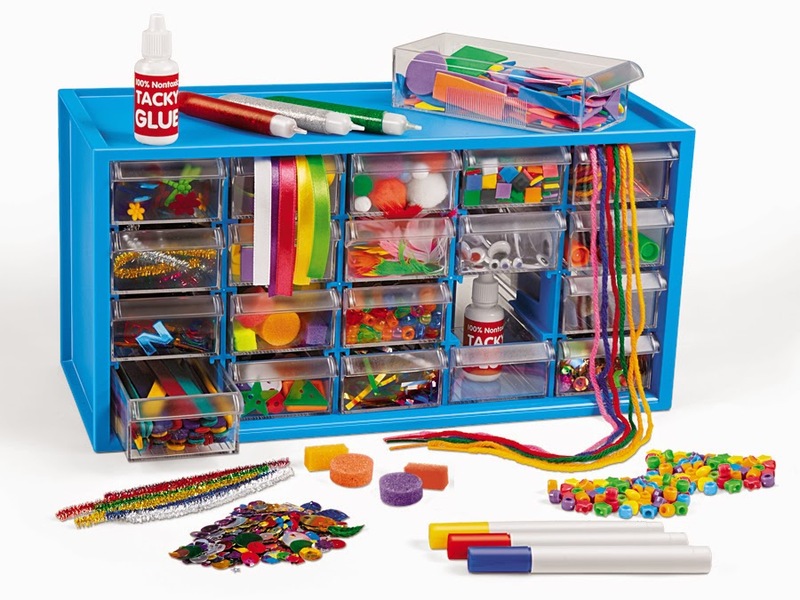 I love that this case keeps all the supplies organized and there are so many supplies that your child can let their imagination and creativity soar. 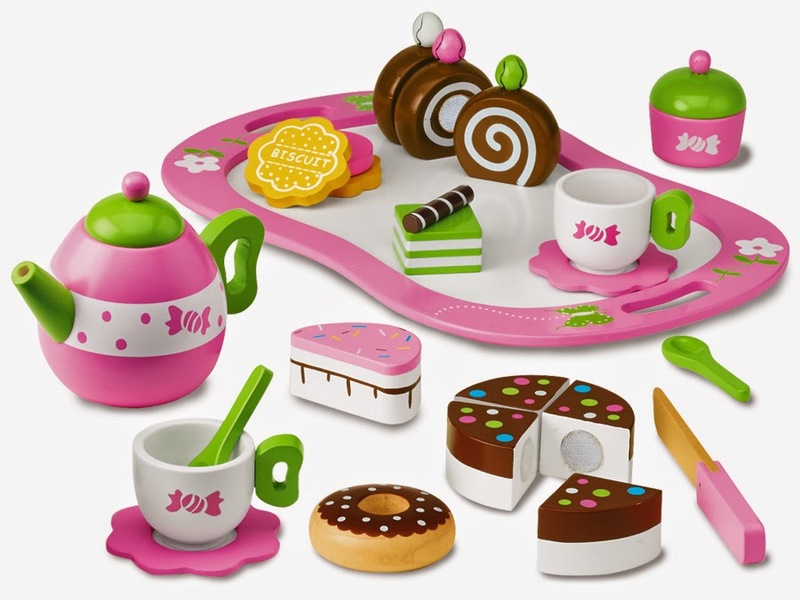 For Mason my sous chef, the Classic Wooden Tea Set ($29.99) is perfect. He is always in the play kitchen cooking up something and he sure does have a sweet tooth just like mama. He sees me making tea so it'll be fun for him to use his own kettle to brew up something warm. How fun is the knife to cut up the cake into serving sizes? Lakeshore Learning has so many awesome learning toys for the holidays. You can definitely find something for under the tree this year - make sure to use the coupon below! Do you like shopping at Lakeshore Learning? What are some of the things on your child's wishlist?